A few days after J&K police DGP SP Vaid's announcement, the JK police has been equipped with hi-tech uniforms. The state police has attached body camera in the hi-tech uniform to gather the video footages of the encounters. The move will be a big boost for the police force and bring transparency in its operations, DGP SP Vaid said. The Jammu and Kashmir police has equipped its staff with hi-tech uniforms. As per reports, the J&K police will now be wearing body cameras, which will help them in tackling law and order problems and counter operations. Jammu and Kashmir Director General of Police (DGP) SP Vaid had made the announcement a few days back and now police has been updated. On the big move, SP Vaid said the move will be a big boost for the police force and bring transparency in its operations. SP Vaid added that high-tech uniform with body cameras will help the state police to tackle difficult situations. 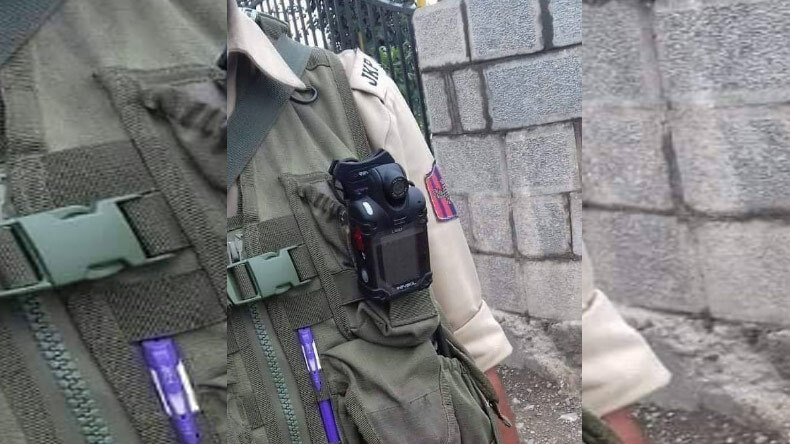 Jammu and Kashmir police man attached a Body camera on his uniform somewhere in Kashmir to keep eye on situations in valley during any law and order problems. He also added that officers deployed in traffic and law and order duties will get these camera-equipped uniforms first. The J&K top cop added that these cameras will be mounted at such positions that can record the conversation between citizens and officers.